Looking for a high-end condo in a leafy, suburban oasis that’s only minutes from Yorkville? 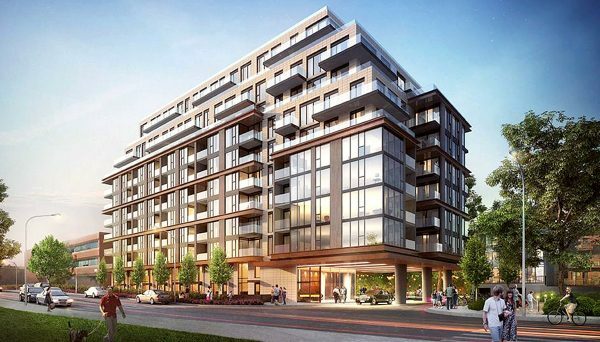 This is a pre-construction condominium project from Graywood Developments in Midtown Toronto, 250 Lawrence Avenue West Condos is scheduled for occupancy in 2021. The site sits just east of the affluent Avenue Road and Lawrence Avenue intersection, backing onto the Douglas Greenbelt. Graywood is proposing an 11-storey mid-rise building with 264 suites and three levels of underground parking. The development also includes two three-storey semi-detatched homes and three, 3-storey townhomes which will front onto Glengarry Ave, on the north side of the development. 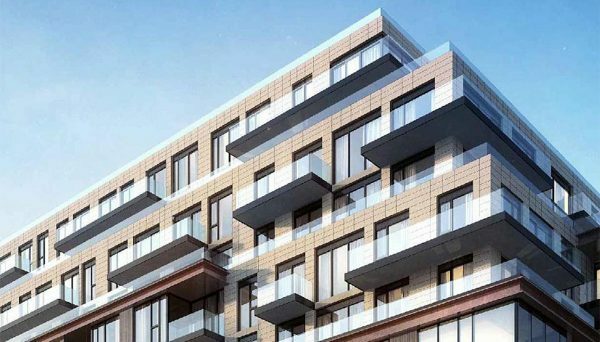 Suites in this Toronto mid-rise condo will include 44 one-bedroom units, 90 one-bedroom-plus-den units, 72 two-bedroom units and 53 two-bedroom-plus-den units. Indoor and outdoor amenity space is planned for both the first floor and rooftop, likely in the form of an expansive rooftop terrace. The average size of the units in the condo building runs about 750 square feet. All units will have access to underground parking, which will include 225 spots for vehicles and 194 spaces for bicycles. 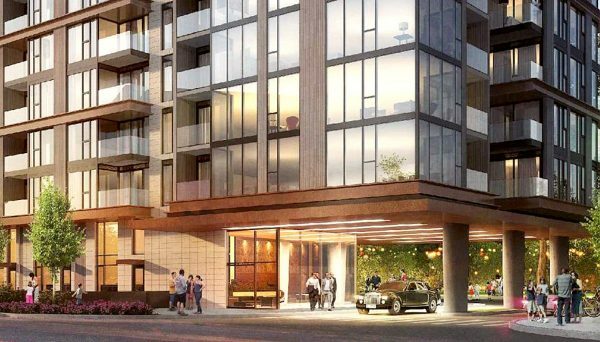 The mid-rise building will feature a grand, welcoming lobby accessed from Lawrence Street West, while the townhomes and semi-detached houses will be accessed from Glengarry to the north. Quadrangle Architects is designing the buildings, a firm renowned for the design of some of Toronto’s most appealing condominium residences, in some of the city’s hottest neighbourhoods. Affluent families, couples and young professionals flock to the midtown enclave for its ravines, easy access to Yorkville and downtown Toronto and many upscale amenities. Some of the city’s most reputable private and public schools are nearby, and Avenue Road has long been established as a haven for gourmet enthusiasts, with destinations such as Pusateri’s Fine Foods, which is just around the corner. Minutes away from Lawrence Subway Station, you can be in the heart of downtown in under 15 minutes. And, of course, you’re steps from Yorkville, the sparkling, high-end shopping district, where A-list cuisine, fashion brands and entertainment await. This midtown condo development really gives you the best of both worlds. Graywood Developments is a private investment management company, focusing on developing real estate in Toronto. They have experience in all aspects of project management, including legal approvals, design, sales, construction management and financing. They’re behind several affluent condominium and townhome communities all across the GTA. 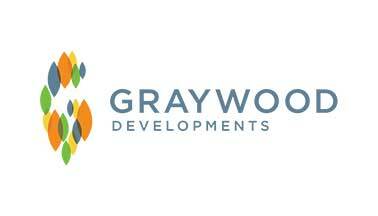 Read more about Graywood Developments .